(91outcomes.com) – While the public comment period related to the first report of the VA’s internal Task Force on Gulf War Veterans’ Illnesses is now closed, public comments related to the VA’s proposed rules for Gulf War illness and nine endemic infectious diseases may still be submitted online. 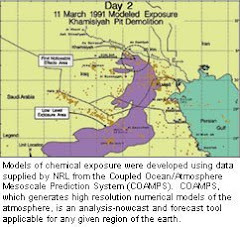 “The extensive body of scientific research now available consistently indicates that ’Gulf War illness’ is real, that it is the result of neurotoxic exposures during Gulf War deployment, and that few veterans have recovered or substantially improved with time,” said VA report released in November 2008 by a government panel of scientists and veterans. “The excess of unexplained medical symptoms reported by deployed Gulf War veterans cannot be reliably ascribed to any known psychiatric disorder,” said the Institute of Medicine in its comprehensive scientific review last month, which also said that 250,000 veterans of the 1991 Gulf War suffer from chronic multisymptom illness. This debilitating health condition affecting one third of Gulf War veterans is more commonly called Gulf War Illness or Gulf War Syndrome. The text of the VA’s proposed rules for Gulf War illnesses, and a tool for easily submitting comments online are available online. 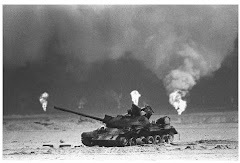 The public comment period related to the VA’s proposed Gulf War illnesses rules remains open until Monday, May 17, 2010. Public comments submitted online related to this Task Force Report, now closed for public comment, include the following. The Task Force chair, VA Chief of Staff John Gingrich, has pledged to carefully review all submitted comments. VA also allowed for public comments on the Task Force Report using a new online tool. The Task Force Chair has pledged to also fully consider all of these comments, which were divided into sections as follows. I served with the USMC is Vietnam, and I can recall, only too well, how long it took the VA to recognize how injurious Agent Orange (and all the other color defoliants) were/are. I hope the process isn't as prolonged for the Gulf War vets.